The MX500 is more ergonomically designed to fit a right hand, with the same metallic grey finish of the MX300 contrasted against areas of black rubber. The MX500 hides it's main left and right buttons as part of the body shell rather than separate pieces, leading to a sleek finish. 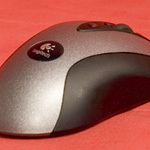 Logitech have kitted this mouse out with no less than 8 customisable buttons. Like the MX300, Logitech rate the resolution as 800 DPI. 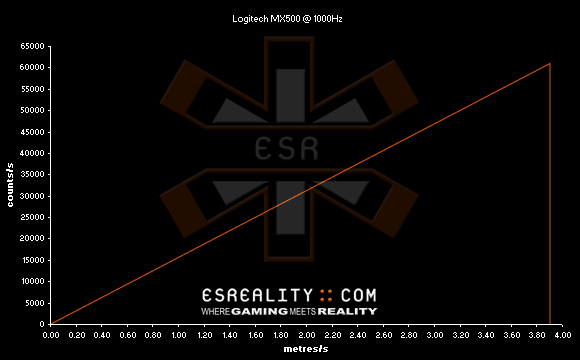 The response of the MX500 is absolutely identical to the MX300, with the same clipping problem when run at 125 Hz, but extraordinary linear range when overclocked 1000 Hz. Again the Malfunction Speed is high enough at 3.91 m/s (154"/s) to never be a problem in gaming. The MX500 is an extraordinary mouse for players with low sensitivity as it can have linear response to an incredible limit when overclocked. 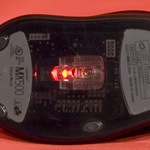 This means gamers will get perfect tracking from their hand to the computer no matter how fast they flick the mouse around. 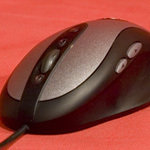 It is a big mouse, and some people prefer the bigger shape to fit their hand. 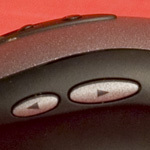 The 8 buttons are all well positioned in my opinion as you don't get accidental clicks just from holding the mouse, but they're easy to reach when you want to click them. The MX500 doesn't have all the glowing bits of more recent mice, but it's a workhorse that keeps performing no matter what you throw at it.